Hope you like it, I had so much fun putting it together although distressing paper is a bit alien to me, I like crisp edges but this is my attempt at Shabby Chic meets vintage. Wow Annie, this is fantastic, each time I look I see something I didn't see before, I'm loving them flowers too, looks like you're costing me money!! 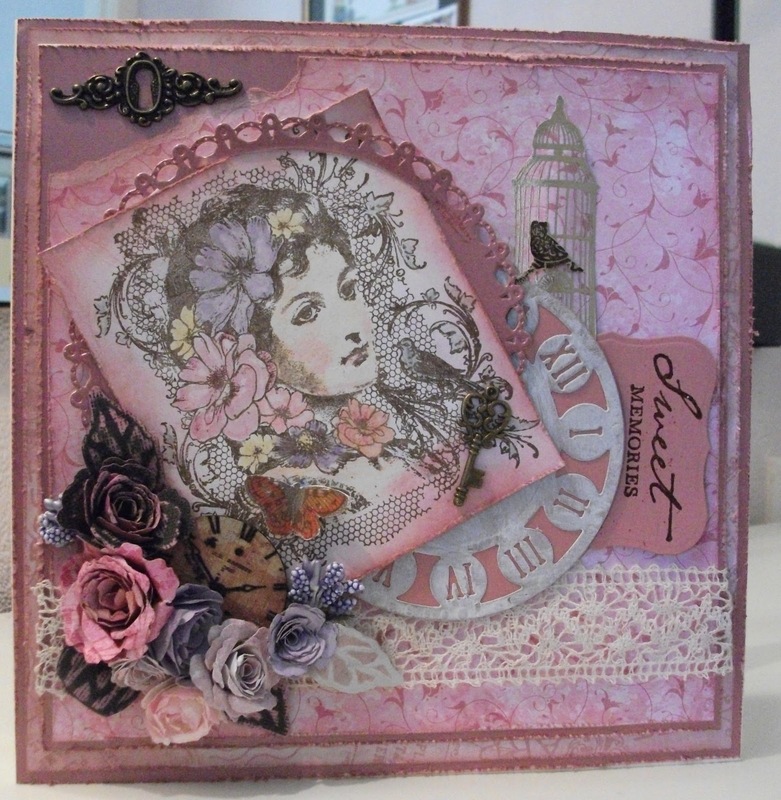 Lovely card, I love the flowers and the color scheme you've chosen.